Anyway, in addition to just hitting more trails, Jeff got some footage for his Trail Boss video series, and that should be coming out sometime soon. There were only a couple of crashes on the ride, and the best one was NOT caught on tape. One of the riders, Mike, hit a wet bridge at speed and his rear wheel slipped out and he slid along the entire bridge on his side. It was impressive. 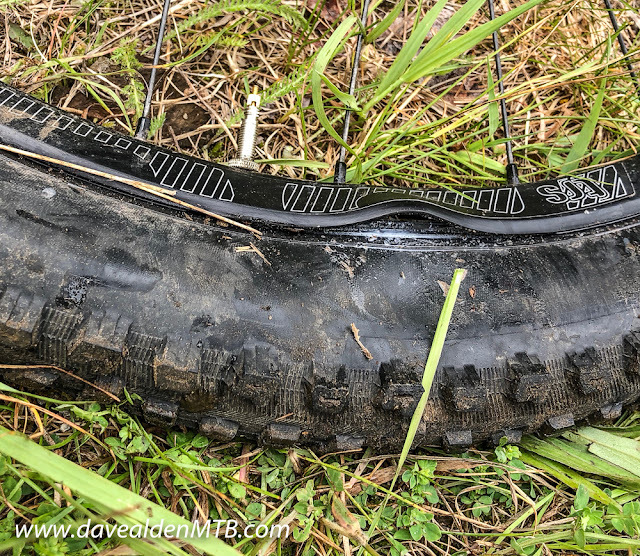 His rear wheel was trashed--but to my surprise--he and others were able to pound the rim's sidewall into submission, enough that it would hold the tire's bead, and he was able to pop a tube in and keep riding.